Lily's Subiaco Florist offers both a unique flowers shopping experience, and equally unique same day flowers, delivered to all of Subiaco, including homes, businesses, and all shop in Subi Square, at 29 Station St, Subiaco WA 6008. 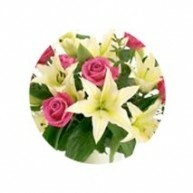 Great range of all occasion flowers, order flowers online or cal us today. Fresh same day flowers by Perth's best Subiaco florist! A vast range of flower gifts await you at Lily's Subiaco Florist. 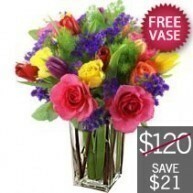 Shop online today and enjoy amazing deals on Subiaco flowers with same day flower deliveries. Lily's Subiaco Florist is your trusted online flower expert in Subiaco offering great value flowers with speedy same day and next day delivery. Our fantastic flower products include floral gifts to suit every budget and occasion. We have vibrant birthday flowers with balloon, romantic rose bouquets for Valentine’s Day, anniversary flowers, flowers in vase, new baby flower gifts, sympathy flowers and funeral wreaths, just because flowers, Mother’s Day flowers, and more. Also available are potted plants and delightful gift hampers that are guaranteed to deliver joy to the lucky recipients. As a trusted Subiaco florist, we ensure that all flower deliveries are attended to promptly. We only use the freshest cut flowers sourced directly from local flower growers. These blooms are delivered to us fresh daily so expect nothing but the freshest blossoms in our floral creations. Same day delivery is available for orders placed before 2PM Monday to Friday and before 10AM during Saturdays. Orders that do not meet the said cut-off will be delivered the next day or on the schedule set by the sender. Our online flower shop is open 24 hours a day, 7 days a week so feel free to order fresh flowers whenever, wherever. You can easily access our online store using your computer or smartphone. 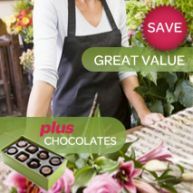 With just a few clicks or swipes, you can get fabulous flower gifts for your loved ones in Subiaco. Should you need assistance in selecting the perfect flowers to send, don’t hesitate to get in touch with us at 08 9467 1462. It would be our pleasure to provide you with professional advice and discuss your flower arrangement needs. We take great time and effort to continuously improve our customer service so that we are always able to satisfy our clients’ needs with precision and efficiency. Our florists in Subiaco are experienced professionals who share a deep love for flowers and a passion for creating floral designs that are not just beautiful but also meaningful. We work with local artisan florists who are well trained in using the language of flowers in creating bunches and arrangements. As a result, our works of floral art are always expressive and representative of the messages our dear buyers/flower senders wish to communicate to their family, friends, and loved ones. The next time you’d want to impress someone you admire or show your love to someone dear, make sure you get a flower gift from Lily's Florist. Lily's Subiaco Florist specialises in creating flower gifts that touch the heart. We do not just pick, arrange and deliver flowers. Our dedicated Subiaco florists ensure that every single floral design they make has a symbolic meaning that helps the sender express his/her thoughts and feelings. Want to send wishes of healing and good health to a relative or friend admitted at the private hospital of St. John of God Subiaco Hospital? 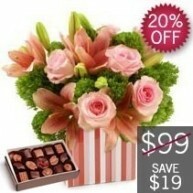 Lily's Florist has wonderful flower gifts to offer. Our popular Bright Mixed Gerbera Arrangement sold for only $65 never fails to brighten a dull hospital room. This box arrangement comes with choice gerberas in radiant colours and resented in a stylish box container so it is ready for display. We also have the bestselling Blissful Botanics featuring a medley of white blooms and fresh greenery as well as our Bright Yellow Mixed Flower Arrangement that is, as the name suggests, composed of the brightest sunny yellow blossoms in Subiaco. If you wish to send something that is soothing and calming, we recommend our blue and white Blue Mist arrangement that is available with a 20% discount. 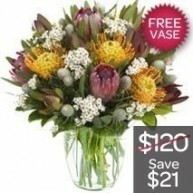 A more sophisticated get well flower gift would be our Australian Natives in Vase valued at $99. Budget-conscious buyers may opt to get our $80 Blush Pinks Arrangements that come with a box of chocolates at no extra cost. 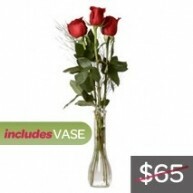 We also have the very chic Two Lily Stems in Glass Vase that’s a space-saver and an affordable gift for just $42. Looking for a fun and more child-friendly get well flower gift? Add a plush teddy bear or a get well balloon to any of our flower arrangements to make your floral gift more pleasing and appropriate for a child recipient. Know someone who just gave birth? Welcome the little bundle of joy with a delightful present prepared by Lily's Florist. Our New Baby Boy and New Baby Girl Packages are among our top sellers. Our Baby Boy and Baby Girl Hampers that come with a greeting balloon, a plush teddy, a box of chocolates and a selection of bath essentials make a winning gift for both the baby and the Mummy. These and the rest of our new baby flower gifts may be delivered to Subiaco hospitals, businesses, and private residences. Lily's Subiaco Florist delivers fresh flowers and gifts not just to St. John of God hospital but also to King Edward Memorial Hospital for Women that is located on Bagot Road and Princess Margaret Hospital for Children that is located on Roberts Road. Each of our flower creation is meticulously designed and prepared by hand by a local artisan florist in Subiaco. We’ve carefully explored the inner western suburb of Subiaco to find the best local florists in the area. 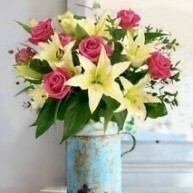 And for the flower delivery needs of Subi locals, they have Lily's Florist to rely on. Lily's Subiaco Florist can reach churches, schools, nursing homes, retirement villages, and businesses in and around Subiaco. We can deliver flower bunches, bouquets, roses, and flower arrangements to commercial and residential addresses around Subiaco Oval or the Domain Stadium, Mueller Park, Subiaco Hotel, Regal Theatre, and Subiaco Arts Centre. Our flowers can likewise reach businesses and homes around Subiaco Primary School and Perth Modern School. We’re happy to hand deliver flower gifts to the modern neighbourhood of Subi Centro as well as the older homes towards Shenton Park. Here at Lily's Subiaco Florist, you can find an extensive array of flower gifts at pocket-friendly prices. We manage to offer fresh flowers at cheaper costs (definitely not cheap quality) because we skip the overhead costs like transportation expenses as we source locally direct from the farmers. We’ve formed partnership with the most reputable flower growers in the area to supply us with fresh cut flowers daily. Our goal is to make the flower giving practice more convenient and affordable for everyone. Our passion for flowers motivated us to share the beauty of this magnificent gift of nature to as many as possible. We want everyone to be able to experience the joy of sending and receiving flowers. Hence, Lily's Florist made sure that we have flowers that would fit everyone’s budget. For as low as $28, you can send a single red rose wrapped in chic paper to someone you care about. 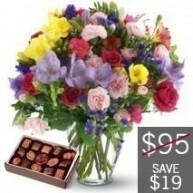 For $39, you can surprise someone dear with a flower bunch specially prepared by our local florist. 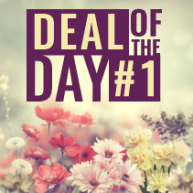 Our deal arrangement of the day would only cost you $54 with same day delivery to anywhere in Subi. Plenty of choices are waiting for you from our Under $50 catalogue. 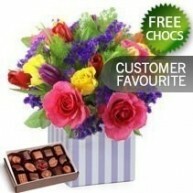 It includes bouquets with chocolates, charming little posies, flowers with balloon and lollies, and gerberas in vase. 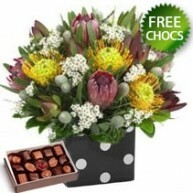 Lily's Subiaco Florist also has a Freebies category that features floral gifts with free vase or a box of chocolates. You can save up to $21 and be able to send hope, joy and love to your family, friends, and loved ones. Need a special birthday bouquet for your partner? Send the happiest birthday wishes through our popular Celebration Package with Free Vase. It comes complete with colourful flowers in elegant vase, a box of mouthwatering chocolates, and a bottle of wine. Got a male recipient? We recommend sending our Native Box + 2 Beers + Packet of Nuts package. For your beloved on her special day, get her our 12 red rose arrangement with teddy and birthday balloon. Your brother or best friend would surely appreciate our Party Package which is a gift basket filled with beers, wine, and chocolates. If the recipient is not a fan of fresh flowers, you may opt to send our Balloon Bouquet instead. For kid recipients, a gerbera box with teddy, balloon, and lollies would make a delightful treat. Someone’s birthday will be extra memorable if she receives a flower from Lily's Florist. All our flower creations will come with an elegant greeting card with your special message printed on it. Let us be the messenger of good cheer and allow us to help you celebrate your loved one’s special day. Lily's Subiaco Florist is one with you in celebrating the love of mothers, too. We have a beautiful selection of heartwarming Mother’s Day flowers. From fragrant lilies to stunning roses, we have impressive and expressive floral creations to offer. 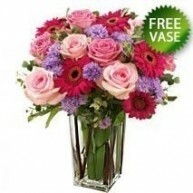 Send our XOXO Treasure vase arrangement to Mum and let her know how special she is. Our VIP Bright Bunch makes a radiant gift to Mum who has always been there to cheer on you. The gorgeous Mum’s Love vase arrangement is for the sophisticated Mum who does everything right and always looks gorgeous doing it. Hats Off to Mum is a special arrangement representing the martyr mum, which probably is every mum. Other glorious flower choices for Mother’s Day include our Enchanted Beauty, Enchanted Pearl, Celebrate Lilies, Celebrate Mum and the budget-friendly Blue Mist with Vase and Chocolates. You can also count on Lily's Subiaco Florist for your sympathy flower needs. We have professionally designed wreaths, sheaths, casket sprays and flower baskets suitable for funerals and memorial services. These include hand-arranged floral ensemble with carefully chosen fresh flowers. We have traditional whites as well as contemporary arrangements with brightly coloured blooms. Express your support and sympathy through our Harmony of Purple flower basket or our classic White Wreath. Let our creations deliver your message of hope as well as your prayers and messages of love and grief. Honor the memory of someone you hold dear in your heart with a stunning sheath or wreath prepared by a local florist. Our funeral arrangements represent love and respect to the departed. Expect a modest ensemble of fresh flowers designed to communicate the sender’s condolences. Our funeral flowers are available for delivery to Karrakatta Cemetery, Chipper Funerals Subiaco, Mareena Purslowe Funerals Subiaco, Prosser Scott Funerals Subiaco, and Bowra & O’Dea Funerals. Share happiness through the gift of fresh flowers. Order a bouquet for your partner today. Our expertly prepared floral gifts come with speedy, reliable delivery. Let one of our dazzling floral arrangements sweep your beloved off her feet. Our fresh cut flowers are guaranteed to deliver joy to every recipient. If you are looking for a trustworthy florist, it’s got to be Lily's Subiaco Florist. Our referral-worthy reputation drives our customers to buy with confidence. We make everyone’s flower shopping experience a memorable one by making sure that orders are handled accurately and promptly and deliveries are done on a timely manner. We blow our clients away with flower gifts that are impressive in quality, design and value. We suggest trying our hand-finished arrangements so you can see for yourself why many trust Lily's Subiaco Florist. Order a bunch of Oriental lilies or pink roses for yourself and let our beautiful flowers enhance the look of your living space. We can’t wait to serve you and deliver fresh flowers right to your door. Welcome to Lily's Subiaco Florist and happy flower shopping!